A Twitter contest is a great way to not only generate buzz for your brand but also to grow your followers whom are interested in what you have to offer. A Twitter contest is pretty straight forward. Ideally, you get people to share tweets with their followers in return for a chance to win a prize. You don’t have to give away an iPad because its ‘hot’. Instead, give something that relates with your customers and something that your customers really WANT (besides an iPad). It’s best to give away a couple of prizes rather than one big prize, that way it will give participants more incentive to join. It will also help you to increase participation. You can even schedule it daily, so even if a user doesn’t win today, they will try their luck again tomorrow. If you don’t have the budget, alternatively, you can approach potential sponsors. That way you’ll be able to give away better prizes, and you can use your contest as a branding/marketing platform for your sponsors. Like every contest, you will need rules! You will need to outline the contest terms and conditions, time frame of the contest, eligibility, and how the winners will be chosen. You will also need to make sure that your contest meets legal requirements in your country. You should read the guidelines for contests on Twitter. Twitter discourages users to keep retweeting the same messages. What you could do is ask users to write their own tweets and share them. You will need a plan beforehand. The idea of a contest is great, but you will need to create some buzz prior to the launch to get people know that there is actually a contest coming up. Pre-buzz helps in participation because people are already expecting the contest to happen. Ideally you will need to use social media to start conversations with targeted followers before the contest launches. You may also need to reach out to bloggers to help spread the contest. One important thing to note is to have a personalized email to every blogger. A landing page is important, it will help you to explain the details of the contest such as rules, conditions, prizes/rewards, time frame of the contest, how users can join, how winners will be notified, and so on. The Binkd Twitter contest app is a free application that helps you to create a branded contest page easily and ease the work for you. With the application you’ll be able to create a contest in minutes. You don’t need to worry about the share button as it already comes installed for you. You can also set a hashtags (to track) when people shares from the application too. Did I mention the Binkd Twitter contest application is FREE? 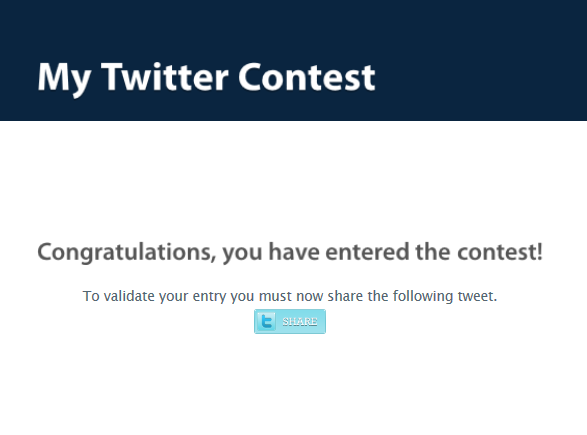 In my future post, I’ll write a step by step guide on setting up a twitter contest using Binkd. What do you think? 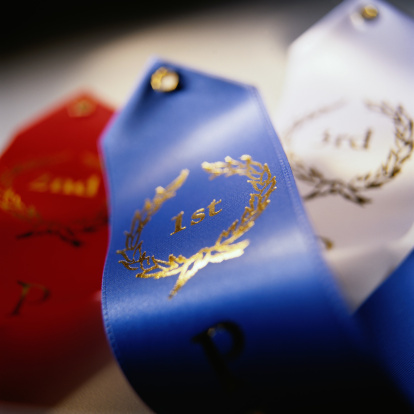 What other tips would you give to those who are considering running a Twitter contest? Good step-by-step for the company/organization thinking about Twitter contests. Have you run one using Binkd, or can cite an example of one? This is cool! I have been organizing twitter contest ‘manually’. With this free apps it will be a lot more easier. Cheers mate, let me know if you have any questions. Will answer them. Hi Debra, sorry for the late reply. I’ve not launched one using Binkd, but I’ve launched a couple of contest before. There will be an article on brands/businesses that have launched a twitter contest coming up soon. Have you heard of #tweet-a-lot? It uses Gamification to encourage users to post with your hashtag to all their followers. A very simple way to get thousands of tweets. Give it a try.